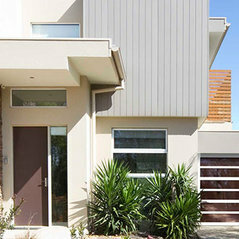 Established in 1951, Amarr is one of the world’s leading brands in design, manufacturing and distribution of sectional doors for residential garages, condominiums, commercial buildings, shopping malls, warehouses and other industrial applications. Amarr is a part of Entrematic, a company comprised of well-established entrance automation brands with nearly 200 years of cumulative experience. Entrematic provides one of the world’s most complete ranges of entrance automation products and warehouse solutions. Made in the U.S., Amarr products have a legacy of innovation and high quality design. 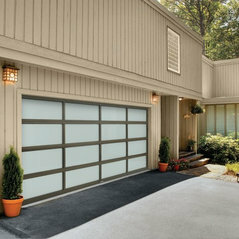 With a complete line of garage doors including sectional, rolling sheet, rolling steel, aluminum full view, and LiftMaster™ and Linear garage door openers for residential, commercial and gate applications, Amarr entrance systems will meet your specific design and functional needs. 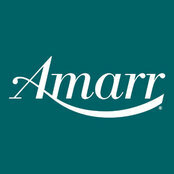 Amarr products are distributed through over 75 Amarr Door Centers in the United States, Mexico, and Canada to more than 3,000 professional independent garage door dealers. This extensive network provides widespread accessibility and reliable service for the new construction, replacement, industrial and commercial markets. 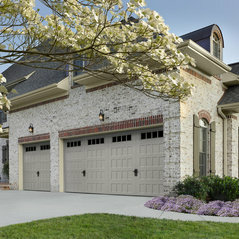 Amarr garage doors also are sold by America’s leading retailers, including Costco Warehouses, and, under private label, at Sears and Lowe’s Home Improvement. Moved into my house on Tuesday and cable snapped and twisted frame on Friday. Didn't even get my warranty registered yet!! Will update about customer service experience. Kommentiert: I'm wondering where you purchased your shutters and what material.Hello, we're sorry, but we do not have any information on the products used in this house other than the Amarr garage doors. 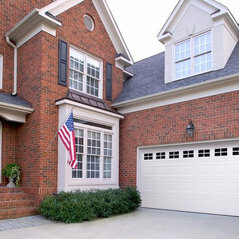 Kommentiert: Garage doorsHi Roseann, these doors are our beautiful Golden Oak dual directional woodgrain color. Kommentiert: Can you get these door with impact glass to withstand hurricansThe Vista door is not available with impacted resistant glass.